Pelosi just said "it remains to be seen" whether Trump's actions were criminal. Warren says if anyone had acted like Trump, "They'd be arrested and put in jail." "The media isn't covering the @realDonaldTrump presidency, they're trying to destroy it." @LindseyGrahamSC, in his first interview since the Mueller report dropped, said Dems would "pay" in 2020 for their desire for collusion and pursuit of obstruction. I'm frustrated by my fellow panelists lack of resolve to fight bad regulation. Saying Dems are going to do it anyway so we should propose something isn't good enough. You need to stand up & push back against harmful legislation. I'm not even in the GOP and I'm willing to fight!! But the main point they're going to raise: The Mueller report is already a public document -- his testimony is in the report. It's cited over 100 times. Privilege wouldn't apply, Dems say, in that scenario. The Dems should do better homework before confirmations . This is what the interns ought to be doing, no? At the Keg Cowboy in Lexington, South Carolina for a great meet and greet today. 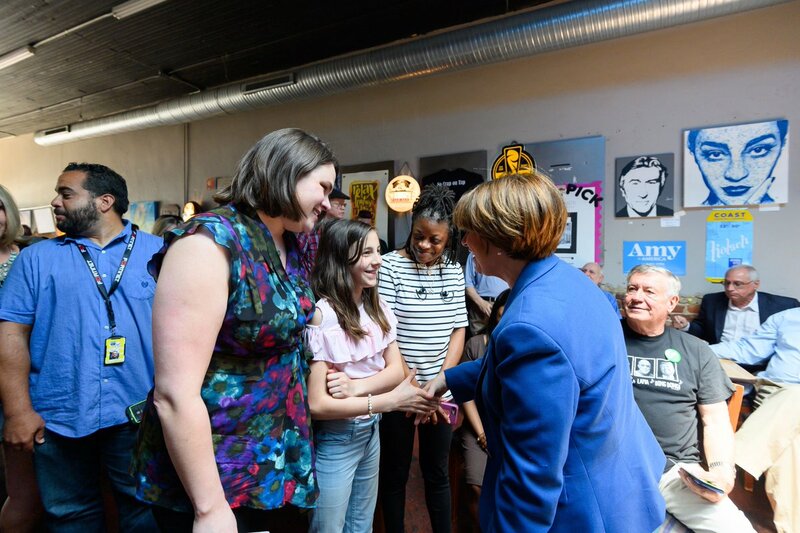 Thanks to SC Dems Treasurer Betsy George for the introduction and her daughter, Mira, for spending part of her birthday with me.